Sterling Land Company is one of the most experienced land broker in Illinois and make sure you are paying the correct amount for a piece of land. If you have any questions about Illinois land brokers and how much money they can save you in the end, please feel free to give us a call at 815-718-2244 or fill out the form on this page and a professional representative at Sterling Land Company will respond to you shortly. 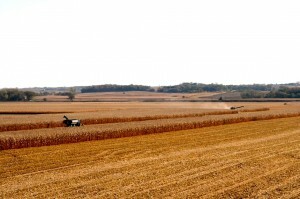 Sterling Land Company is an Illinois Land Broker that is equipped with the most up-to-date information on what is currently happen in the farm community resulting in a top-of-the line marketing strategy that connects buyers and sellers. When you are the owner of a piece of land, it is your decision if you want to sell that piece of land to the buyer at a discount price and with an Illinois land broker, they will let you know how much of a discount they would be getting selling through an Illinois land broker. At Sterling Land Company, we think it is very important that you get a significant return on the land you are selling which is why the rates for our services are significantly lower when compared to our competitors’ rates. If a tenant believes that the land is worth a price that is lower than its actual value, our brokers at Sterling Land Company will work to find other tenants that will pay the price the land is actually worth. If you have any questions about Illinois land brokers or simply just want to request more information, please give us a call at 815-718-2244 or fill out the form on this page and an expert at Sterling Land Company will respond to you soon.